Come join us at the Southern New Hampshire Pinball Club for our bi-weekly Wednesday Night Knock-Out Tournament. The format will be a 3 or 4 strike head-to-head knockout style. It will be 3 strikes if the number of players is over 12 and 4 strikes if it is 12 or under. 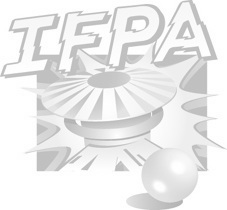 There is a $5 entry fee with $1 going to the IFPA sanctioning fee the rest will be spit with the winner getting 50%, second place 30% and third place 10%. The winner also gets to add their name to the WKO Champions' Gloves. The tournament starts promptly at 7:30. Late comers are welcome but will get a strike for every round missed. You do not need to be a member of the club to play in the tournament but a $10 club admission fee is requested. All the games are on free play and the club will be open to non-members at 6:00 and you're welcome to stay until the last member leaves.